Umara Khan, popularly known as “Jandool Khan”, was a ruler of Bajaur who rose to prominence during the 1890s (Jandool then was one of Bajaur’s northern valleys and now is part of Dir). He ruled Bajaur, and parts of Kunar valley and Dir. Umara Khan is remembered as a heroic character in the history of Bajaur for his hostility towards the British Raj and the princely states of Dir, Swat and Chitral, which he deemed cronies of the Raj. Umara Khan is famous known for his invasion of Chitral in a bid to wrestle the control of that hilly district from the British. With the connivance and support of Umara Khan, a revolt was staged by the Chitralis which forced the British to send the famous "Chitral Expedition of 1895" to save Chitral. 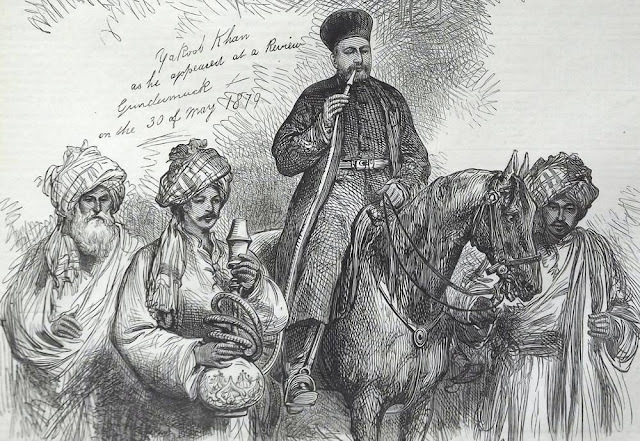 Umara Khan also remained at loggerheads with the Amir of Kabul over the Kunar valley. After Umara Khan, Bajaur was ruled simultaneously by two chieftains i.e. “Nawab of Khar” and “Khan of Nawagai”. Both were from the same extended family of Baram Khel tribe and occasionally remained at war with each other to assert control of the region. Another strong chieftain was the "Khan of Pashat" who ruled the entire Salarzai area. Many famous folk tales and songs depict the events of the internal feuds as well as Bajaur’s conflicts with its neighbours Mohmand, Kunar and Dir.